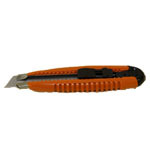 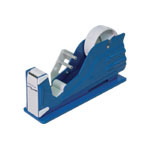 Bag tape sealers are used by flower shops, grocery stores and restaurants. 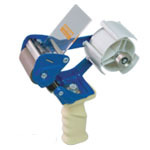 The user holds the bag neck and slides it into the gap where the tape is applied. 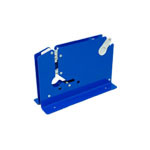 These bag sealers use a 3/8" wide bag sealing tape to close the bag. 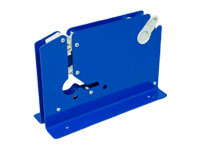 Tape bag sealers have a sturdy steel frame for years of use.